There are many reasons to hire a reputable roofing company like Straight Line Roofing & Construction. Although the price we quote you may be higher than other roofers, a reputable roofing company will be there in the years ahead. Sadly, many roofers who provide low quality roofs for unsuspecting households will not be in around when those roofs fail. Often they will close their business within a few years only to start a new roofing company with a slightly different name, leaving their clients with invalid warranties. To protect yourself you should verify how long the roofing business license holder has qualified their business. Straight Line Roofing provides our employees with regular training because we know that it is important to keep everyone up to date on current building codes. This ensures that the quality of the work done will not be obsolete the day it is completed and will satisfy homeowner insurance companies. Straight Line Roofing also makes sure our employees receive regular training provided by the manufacturers we use. This training makes sure that our roofers are using current installation best practices. By installing a roof to the manufacturer’s specification we are providing you with a roof that will last for years. 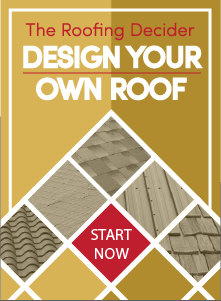 As a reputable roofing company, Straight Line Roofing will sell you the roof you need that is the right roof for your home.